I’ve always had a fascination with words and their origins, particularly those words that have come into common usage. And surely there can be few words used quite as frequently as the days of the week? Having said that, it wasn’t always straightforward to pinpoint which day was which. Way back around the First Century AD the Roman Empire used the nundinal cycle which used a ‘market week’ that actually had eight days, so The Beatles had it right. Of course, the length of a year doesn’t easily account for an eight-day week, so the pontiffs who regulated the calendar had to juggle things a bit to ensure January 1st didn’t fall on a market day as this was considered unlucky. Working out the dates of these market days is about the only way historians can calculate dates in the pre-Julian calendar. And I thought keeping track of Bank Holidays was tricky. The seven days were named after the planets of Hellenistic astrology. Monday, obviously, is named for the moon. 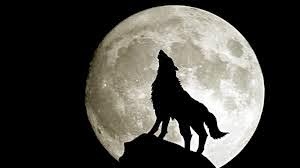 In Latin it’s Lunae, as demonstrated by European countries with Latin-based languages such as France (lundi) and even less widely known tongues such as Romanian (luni). 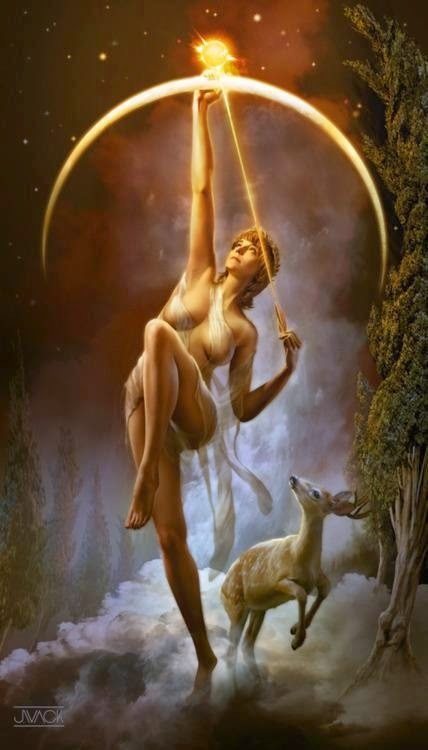 In Roman mythology, the moon was sometimes represented by Diana the Huntress who was clearly good at multi-tasking, because as well as the hunt was also goddess of childbirth and the moon. Tuesday in planetary terms belong to Mars – Martis in Latin. From this we get E martë in Albanian, and martedi in Italian. 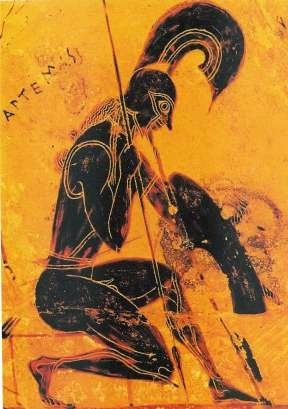 Roman writers reimagined many of the myths of Ares, the Greek god of war, using the name Mars instead, so it’s become difficult to separate the two. 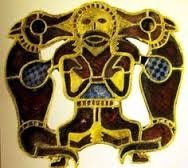 You might wonder where we get the name Tuesday out of Mars, but if you look at the Norse languages you find Tyr, who was referred to by the Saxons as Tiw. 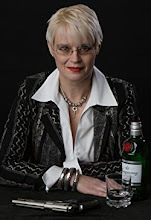 In Norwegian Tuesday is tirsdag, in Scots, Tysday. Wednesday is the day of Mercurius, Mercury, from whence comes mercredi in French and mercuris in Sardinian. In the Roman adaptation of the Greek pantheon, Hermes and Mercury have similar characteristics. 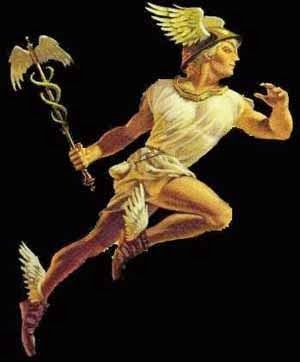 Hermes is usually portrayed with winged sandals and cap, and carrying a herald’s staff, the winged and twin snake-entwined caduceus. Far better would have been the Rod of Asclepius, which has one snake and no wings. Asclepius was the Greek god of healing and medicine. And where to we get Wednesday from? 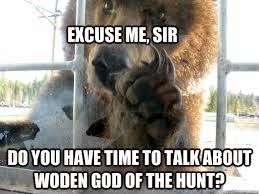 Those pesky Anglo-Saxons again with Woden, their equivalent of the Norse Odin. So, the Dutch have woensdag, while the Danish have onsdag. 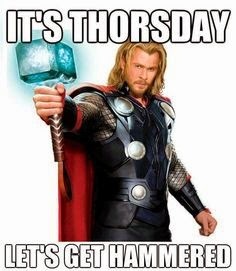 The origins of Thursday are easier to spot, from Thor, the Norse god of thunder. Thursday is associated with Jupiter, or Jove, or Jovis, god of sky and thunder, who the Romans regarded as equivalent to Zeus. Zeus was noted to use lightning as his toy of choice. The myths of Zeus are adapted under the name Iuppiter, which brings us back to Jupiter/Jove/Jovis again and so we find Gioverì in Neapolitan and joves in Old Portuguese. "What did you say to Zeus?" 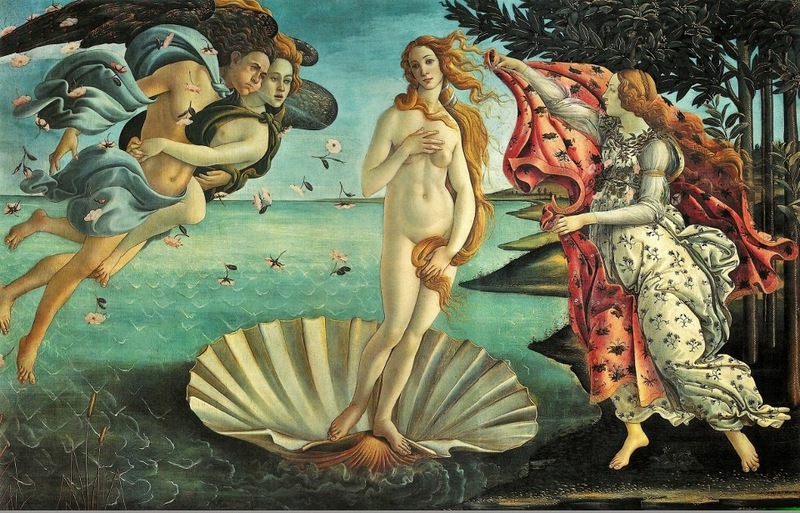 Friday is the day of Venus if you were Roman, or Aphrodite to the Greeks, the goddess of love, beauty, pleasure and procreation. One story has Aphrodite born when Cronus cut off Uranus’s wedding tackle and threw it into the sea. She arose from the sea foam, or aphros. From Venus, of course, the Spanish get viernes and the French vendredi. We Brits sided with the Norse gods again and get our last day before the weekend from Frigg or Freya, also responsible for love and fertility and also with foreknowledge and wisdom. 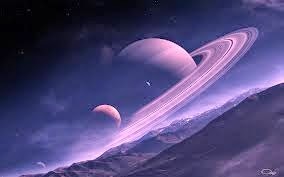 Saturday is Saturn’s day, so called for the Roman god of plenty, wealth, agriculture, renewal and time, among other things. In many of the Romance languages this day was renamed for the Sabbath, hence sabato in Italian and sabbatu in Sicillian. 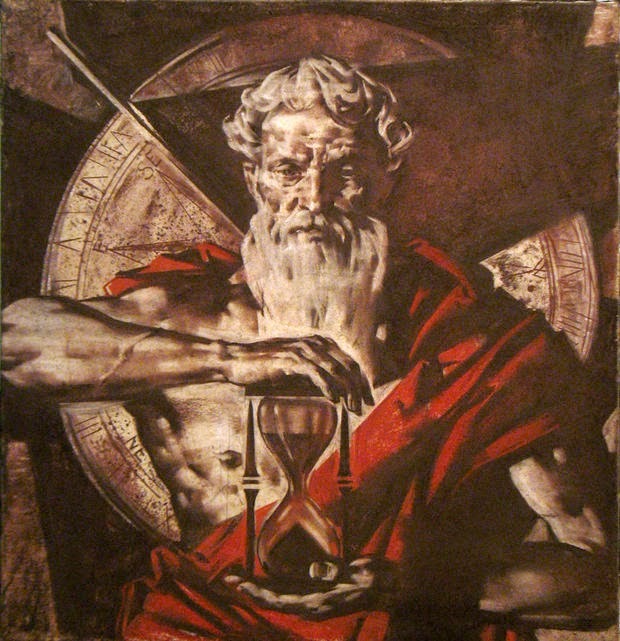 The Greek equivalent god is Cronos, who as well as being of a somewhat vengeful nature was also god of time, from where we get chronograph and chronological. And finally we come to Sunday, named for the sun, thus in Icelandic it’s sunnudagur and in German Sonntag. The Romance languages renamed it to designate Sunday as the Day of the Lord, dominicus, so it’s domingo in Spanish and domenica in Italian. The Roman god of the sun was Apollo, who also had music, poetry, art, archery and knowledge in his remit, although it wasn’t all fun and games as he was also the god of ill-health and plague. Just to round everything off with a highly tenuous connection, here’s ‘T’was On The Monday Morning the Gasman Came To Call’ from Flanders and Swann, illustrated in Lego. This week’s Word of the Week is anfractuous, meaning sinuous or circuitous. It comes from the Latin anfractus, meaning winding, turning, or bending around. This in turn comes from frangere meaning to break, from which we also get fracture and fragment, the prefix ‘an-’ meaning it bends around in an unbroken manner. Originally used to describe the curved nature of the auditory canal in the ear, but could just as well be applied to the plot of a good crime novel, which twists and turns but can still be followed to the end. And given today's political climate (in the US), I'm not sure about that Sabbath-born child. Maybe this could be used as an argument against those who think gay-marriage is forbidden by the bible???? 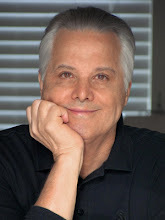 For a writer to be called a hack has long been bad, but for 4-5 years (at least) in the early 1980s, for a computer programmer to be called a hacker was a badge of honor, it meant you had real chops. Then along came the people breaking into computer systems, creating worms and viruses and trojan horses, and the term was usurped to describe them. I'm still pissed off about that one, as I always considered myself to be a hacker... :-) Alas, time and technology have largely passed me by. Perhaps someday I'll be a hack. You see, to me a hack is either a kind of fine-boned thoroughbred-type show horse, or to go for a quiet ride in the countryside. Very interesting, you made me think. The Greeks in their modern names for days of the week obviously abandoned earlier references to the gods, but still count Sunday (Kiriake)--"The Lord's Day"--as the first day of the week. 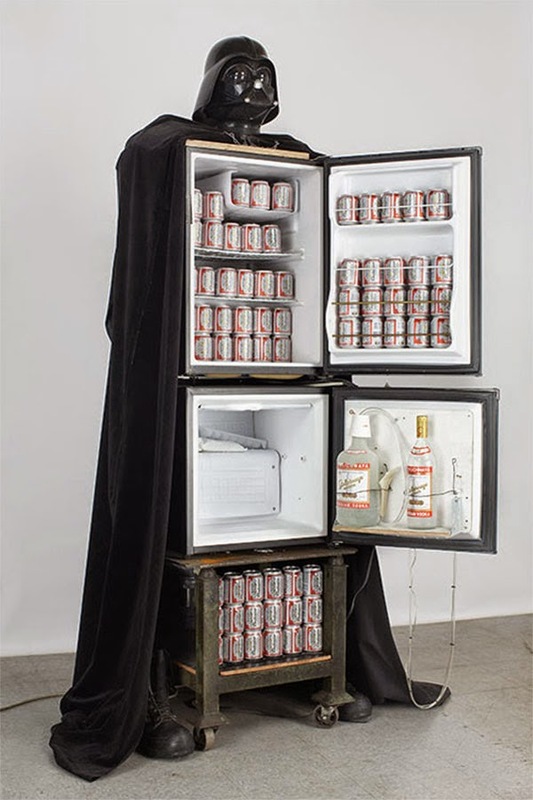 I say that because Monday (Deftera) means "second," Tuesday (Triti) means "third," Wednesday (Tetarte) means "fourth," Thursday (Pempte) means "fifth," Friday (Pareskavi) means "preparation"--as in for the sabbath--and Saturday (Savato) means "sabbath." But no matter what you call this day, HAPPY EASTER. Clearly the Greeks do not adhere to International Standard ISO 8601, Jeff. And the Greeks about you!